Buy unlimited virtual phone numbers from popular countries on the same mobile device without a physical SIM card! Send and receive VoIP calls & text messages to/from anywhere in the world! With a Numero international number, you can make cheap international wifi calls and send low cost SMS, enjoy free roaming and protect your privacy. Easily get a second phone number for multiple uses and benefits as there’s so much you can do with a 2nd phone number! All you need is your current mobile device, wifi connection and Numero! USA, UK, Canada, France, Switzerland, Sweden, Austria, Netherlands, Spain, Denmark, Poland, Finland, Romania, El Salvador, Latvia, Slovenia, Russia, New Zealand, Australia, Venezuela, South Africa, Panama, Colombia, Brazil and more! -You can have unlimited real phone numbers without a physical SIM card on the same mobile phone. -Send & receive phone calls & SMS messages from/to any destination worldwide. -When connected to the internet: Receive free calls & texts on phone number anywhere in the world (Free roaming). -When not connected to the internet: Forward received calls to local number. Costs are near to the local cost of the country and are significantly cheaper than roaming fees. -Never miss a call with virtual Call Forwarding and Voicemail. -Private Number feature to hide your real phone number. -Landline and mobile (expanded) numbers available. -The app is available in 7 languages: English, Arabic, French, Spanish, Turkish, Portuguese and Russian. -No long term commitment. No contract. Cancel subscription any time. -24 hours free trial available (free number). Activate it when you need it! -Buy Social Media Numbers without ID and register in social channels and instant messaging apps like WhatsApp without exposing your real identity. -Use “Hide My Number” feature to make private calls and hide your real number with Private Number appearing on screen. -Give your 2nd line to strangers, in dating apps, for online shopping.. etc. 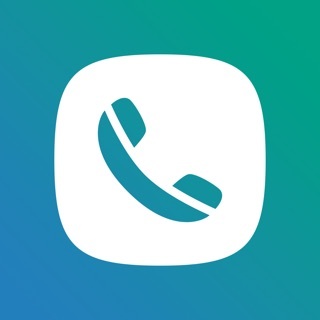 -Use Call Forwarding to direct calls received to your real number while camouflaged under your fake number. Turn your phone into a business phone by separating business from personal talk. Make low cost business calls and roam free anywhere you go. Gain global presence and be closer to your customers. Some telecom operators may enforce their numbering plans or hide your virtual number for the receiving party. -Account will be charged for renewal within 24-hours prior to the end of the current period, at same cost. -Subscriptions may be managed by the user and auto-renewal may be turned off by from the user's iTunes account. -We offer a trial period for specific country numbers; any unused portion of a free trial period, if offered, will be forfeited when the user purchases a subscription to that publication, where applicable. - Fix a crash that sometimes occurs when clicking on message conversation. Feel free to send us any comments or questions through our in-app support - we’d love to hear from you. I purchased 2 eSIMs, great voice quality. Really amazing app. Thank you for your nice review and the nice words you said about Numero eSIM.